From time to time, even though the signs warn against it, it is necessary to feed the wild life. I’m not talking about pilfering out a couple peanuts for the local chipmunks, or scattering crumbs for a couple of hungry looking birds, I’m talking about nourishing one’s inner need for adventure. That part of your self that calls out for a hike, a climb, or a ride into the unknown. Lately I’ve been malnourished, only sustaining myself on the few scraps I could salvage from the afternoons after work. 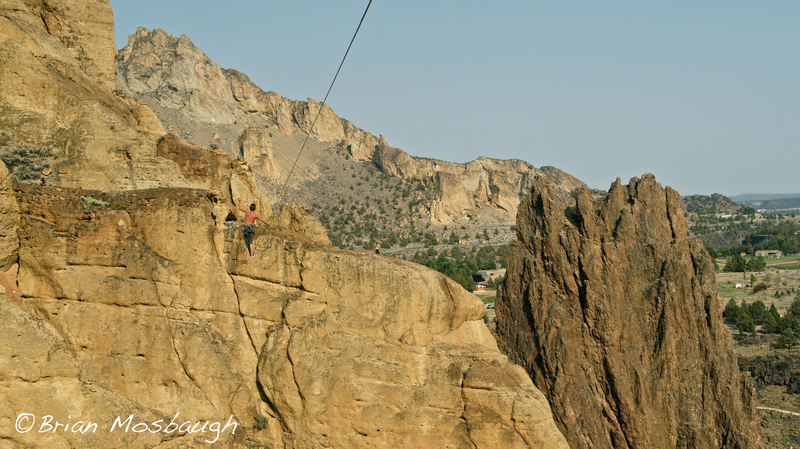 Hungry for more, I packed a bag and jumped on a plane and found myself in the buffet known as Smith Rock. With a quick look around it is easy to see how filling this place can be. Spandex riding gear, harnesses swaying from the backs of climbers, and more sun screen than you can imagine make up the ingredients that can turn any person’s hunger into blissful satiation. 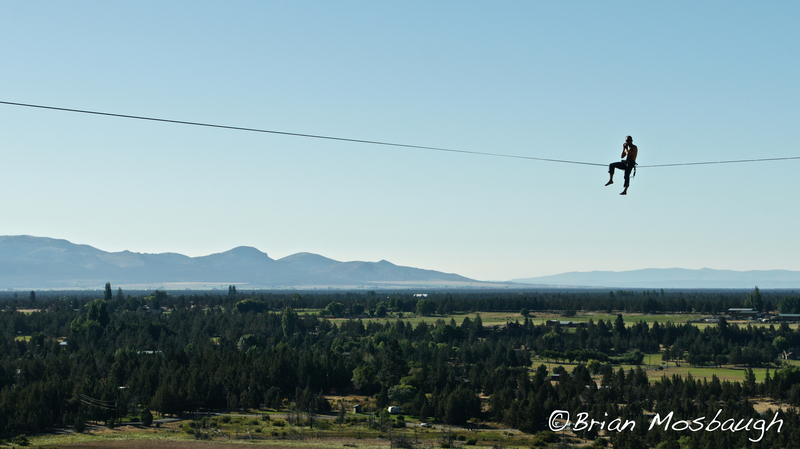 While Smith Rock has numerous options to appease even the pickiest of patrons, I found myself partaking in the heartiest of delicacies, highlining. 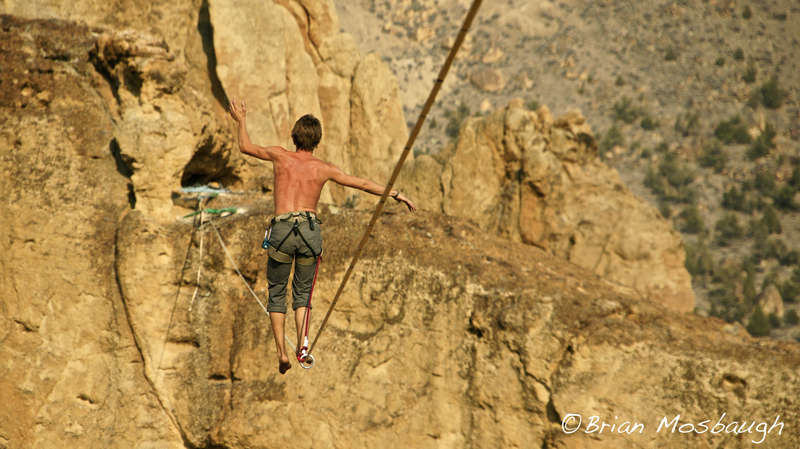 If you are unfamiliar with the sport, imagine a tight rope walker at a circus; now take away the long pole they use to balance, take the tension out of their rope so that every step results in both lateral and vertical movement, then take the scene out of a circus tent and put it outside in a setting where the wind, daredevil cliff swallows, and 500 feet of nothing below you can play havoc on your mental faculties. Trust me when I say just witnessing the sport can be a heart-pounding experience. 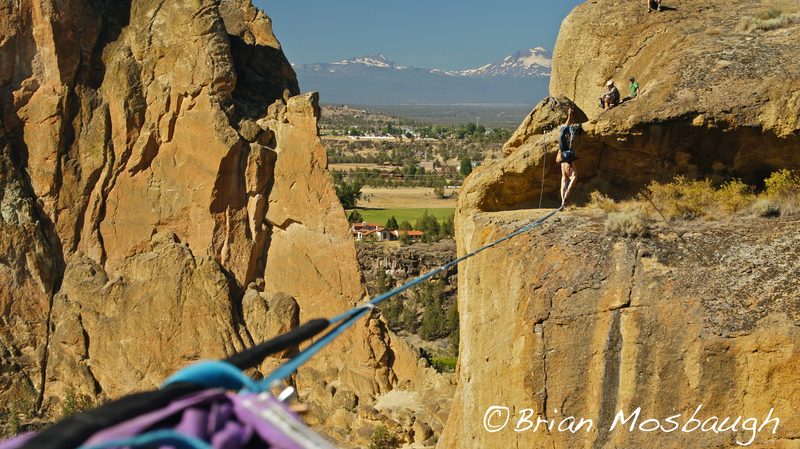 Over the span of four days a small group of highliners traversed across Smith Rock walking—and establishing—various highlines. 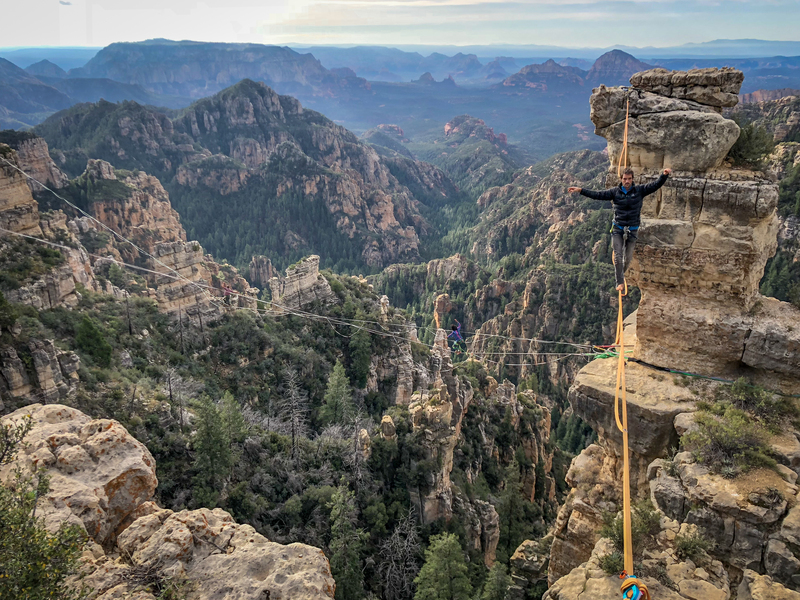 For some members this was their first experience with lines so high, for other veteran highliners this was a chance to challenge their personal records, not only for the height of the line, but for the length of a line as well. Travis Kuester is a contributing freelance writer, literary genius and slacklining friend living in Portland, Oregon. He always wears a smile and enjoys the small details of life that give it greater meaning. Here’s to life Travis and thanks for sharing your voice! 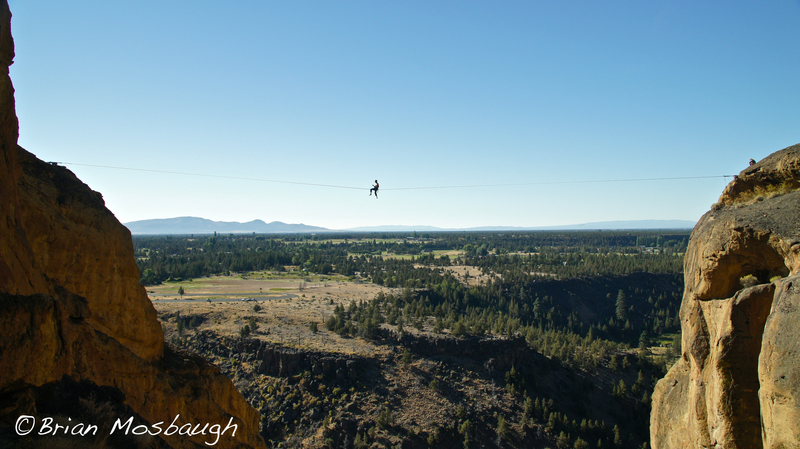 Jerry Miszewski setting a new standard at Smith Rock State Park with his newest highline addition”Overdose,” weighing in at 382′ long! The bigger perspective of sag and length on Jerry Miszewski’s “Overdose” line, all 382′ of it!